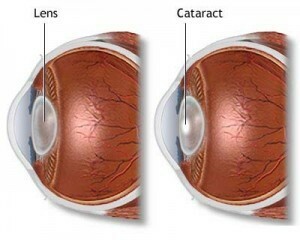 A cataract is characterized by clouding of the eye’s lens. Naturally, eye lenses are usually clear. Cataracts are often the result of the natural aging process while others may be present during a child’s birth or may result from chemical, drug or physical injury. One of the common procedures employed within the US to clear the cloudiness is cataract surgery. In this article, you will learn how a cataract surgery is done. During the surgery, a surgeon cleans or removes the cloudy lens and replaces it with a clear manmade lens. They mostly conduct the surgery using a technique called phacoemulsification or a small cut incision cataract surgery. The incision can be very small because they have to liquefy the lens center and vacuum it out. A surgeon performing the procedure under local anesthesia has to make a smaller opening on the cornea’s side. They then insert a device into the eye that vibrates to break the lens into very small pieces. The surgeon then removes the small fragments by suction via the cut in the eye. To form the cut, the eye doctor may apply laser. They make the cut with the hope that a more precise cut will shorten the surgery recovery period. After, the cataract removal, the surgeon has to replace it with manmade lens known as the intraocular lens (IOL). The procedure of fitting the lens is called the intraocular lens implantation. The intraocular lens is a clear acrylic or silicone plastic usually with optical power selected by the surgeon to help in restoring the normal vision. Mostly, it minimizes the overreliance on eyeglasses which is common after eye surgery. The lens is also permanent and does not need any special care. The lens focuses light onto eye’s retina. And this helps in improving your vision. Further, you may need a new eyeglasses prescription after the surgery including when your natural lens is replaced with the IOL. However, there are people who will see properly without the need for glasses after the cataract surgery with the lens replacement. Mostly, the surgery is performed as an outpatient procedure in the operating room and therefore you won’t need to spend nights in the hospital. The actual surgery may not last for more than an hour and also, it is safe and often performed when the patient is awake with some sedation level. A surgeon gives a sedative and places numbing drops into the eyes. They may also choose to use a novocaine injection that they place around the eyes. General anesthesia – fully asleep and breathing tube – is also usable during the surgery and therefore you should talk with your surgeon about the available options. • Can you get the two cataracts removed at the same time? Doctors won’t remove cataracts in your two eyes at the same time. If you need the two cataracts removed, the surgeon will schedule you for two separate surgeries that are usually several weeks apart.